I am emailing regarding the disgusting amount of dog mess which can be found not only on the beach but also on the roads in Hoylake, in particular, Charles Road and Market Street. It is unfair and something should be done to catch these people and fine them for their inconsiderate behaviour towards others. To my knowledge, there are no notice warnings telling people to clear up the mess. It is a shame as many people are doing their best to make Hoylake a clean and beautiful place to live. In many parts of the country, dogs are not allowed on the beach between May and October. Maybe, Wirral Borough Council should implement this rule here. 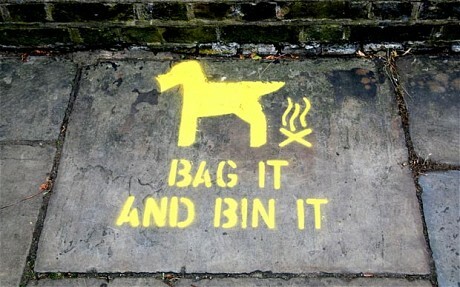 It is a shame as there are many law-abiding down owners who one sees regularly clearing up after their pets. However, it is always a small minority who spoil it for everybody else. Personally I don’t believe that this is a problem unique to Hoylake – I regularly run through West Kirby and there were a few “land mines” to avoid on the prom this week. A search in Google suggests the problem is nationwide. Are irresponsible dog owners giving other owners and their dogs a bad name? Have your say in the comments below. I agree that yes there are irresponsible owners who yes do ruin it for everyone else, but I would also like to add that it is only ever dog walkers that I see using the beach. I have lived in hoylake from birth and Hoylake beach in my lifetime (31 years) has always been the same. It has never in that time been a tourist beach (thank god full of townies like west kirby in the summer) so to ban the people off the beach who use it everyday whatever the weather sounds a little unfair to me. I’d rather have the occasional doggy doo that washes away than litter left everywhere by us humans! I live on Meols Parade adjacent to the sand dunes and there is a really high level of dog mess in our area. I have found this to be the case on the roads, beach and the sand dunes themselves. More annoying for me is that I watch people park outside my house in their cars, take their dog(s) for a walk, allowing them to soil where they wish, then get back in their cars and drive back to their nice clean streets. I see this regularly and if I was able, I would confront these disgusting people. To see the other side of the argument, the main dog walking route runs from Meols Parade to Moreton lighthouse and there is no bin to dispose of the dog mess, some dog owners voice their pesonal objection to this by picking up the dog mess in a plastic and simply hanging their bag on a nearby branch to hang there for all eternity – also disgusting! I believe there is a solution that will keep our streets clean and also create a new job or two. I think the council should employ a dog warden who will catch these offenders in the act and give them an on the spot hefty fine (as some of the road-side signs promise). In addition to this, I believe the warden should have the power to randomly stop dog walkers and ask to see sight of their bags to pick up the mess, if the owner fails to produce the necessary bags to pick up dog mess then they should have an on the spot fine of £50. That would soon stop them. If the council couldn’t afford to do this then if they would organise it I believe that you would have people queuing up to volunteer. It’s so sad that despite the fact that I live on the beach/dunes, I’m unable to let my son play in these areas for fear of what he will encounter. …don’t even get me started on the horses who soil on the pavement outside my parents house regularly, makes you wonder what is going on in other people’s minds!! I have emailed this matter several times with Cllr Hale, especially when he was chairman of the Leisure Committee at WMBC. He says that the problem is not sufficiently great to warrant the expenditure of Wardens and has refused to introduce a dogs’ ban on beaches. Ask him for his latest comments for I, like others, hear continuous and continuing complaints of the selfish attitudes of dog owners with whom the blame, literally and metaphorically, lies. If Cllr Hale would be willing to organise a voluntary enforcement committee, I would be more than happy to take a few shifts, I’m sure others would too. It’s easy for people who dont use the beach/dunes much to say that we don’t have a problem and turn a blind eye but it really is just disgusting and I don’t see why this should be allowed to continue! I love dogs and we’ve owned dogs all my life and I would never suggest banning dogs from the beach but dog owners must take responsibility for their pets and sadly, many of them won’t unless there’s a penalty. I agree with all that has been said, particularly the problem by Meols Dunes. People come from miles around, park up and take their dogs for a walk. Its a great place for dogs to play and socialise with other dogs, and for owners too. I live nearby and take my dog also and have encountered people who don’t pick up at all, or shuffle around pretending to get a bag out of their pocket unti I pass. I asked someone once if they would like a bag as its easy to forget to bring one out – and have been told no thanks its OK. Well sorry but its not and the worst ones are the offenders that go to all the trouble of picking it up and then hook it onto bush or tree – what is all that about? A little poem to sum it up…. But several bags of dog poo hanging in the air. I can only think that those that did just didn’t bloody care. Sorry to rant but this is a natural place of beauty and also my back yard and I hate to say it but on this occassion, I am a NIMBY! I’m coming over to Hoylake with my retriever tomorrow and thought that I’d take the trouble to check that dogs are allowed on the beach. I’m delighted to see that they are. I will be bringing lots of poo bags. If I can’t find a poo bin, I’ll take it home (just double bag it and it’s fine). None of this is out of the ordinary, I’d do it wherever I go. Just to let you know that we’re not all inconsiderate. Pauline, I loved your poem. Thank you for making and keeping Hoylake such a lovely place, it is appreciated by many. Thanks Keith, that’s refreshing to hear!! We’ll be sure to give you a wave if we see you! I looked out of my bedroom window at 6.30 am the other morning and noticed a dog owner clearing up after his dog, excellent I thought a responsible dog owner, I was soon disillusioned when I saw him lift the lid of my neighbours grey recycling bin and deposit the poo bag in, these people are unbelievable and don’t give a damn about anyone but themselves. 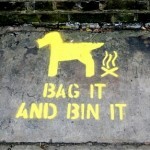 I’m not condoning that action but I did notice a lack of doggy poo bins. Presumably, if you allow the walking of dogs on the beach, you expect the responsible owners to pick it up? I put mine in the ‘general waste / rubbish’ bin as that’s what we’re instructed to do with dog mess collected from our own lawns / home in Chester. Is this the correct thing to do?? Just a few additional dog poo comments: – As a respnsibile dog lover myself, I do believe that ther will always be conscientious people and those that don’t care. Enforcing sanctions is expensive and probably not going to happen in the current financial climate. Could we have one dog beach and one dog free beach in the summer season? (People should still be expected to clean up on the dog beach) This would mean that children could play safely on the sand without risk of contamination; even after poo is removed there is a risk of contamination. Many people walk their dogs around hoylake and other areas without leads and do not check what their pets might be doing. There is also trraffic danger. There has also been significant problems with dog mess around Old Hoylake Grove Park and Grove Road area’s as people use the grassed area mainly to walk their dogs. this Park is not locked or light at night and some people take advantage of this toiletting their pets after dark, some not cleaning up. Therefore the football pitch is not fit for purpose and youths are using the children’s play area to play football both day and night. We do have a significant problems which would benefit from using many of the ideas suggested by those using this page. However it needs agreements with Council Officials and a coordinated committe led approach to be successful. I agree, the council are unlikely to fund any enforcement which is why I suggested the volunteer approach. Having said this, I don’t think ‘lack of funds’ is an acceptable response from the council – tha majority of residents here pay a lot of Council Tax and I don’t think it’s too much to ask that we should have a say in how some of this is spent if there’s a genuine health risk (which there is). I think it’s unlikely that dog walkers would restrict their walking to the beach, I find Meols dunes to be in the worst state – there’s plenty of long grass to hide the offender!! I do agree however, that there is a lack of doggy bins – I wouldn’t think it would be too bad if the poo ended up in general waste bins as an alternative (but obviously not recycling).